إن الحكومة اليوم تحاول جاهدة بث أهمية تحديد النسل وتوعية الشعب ومناشدته تحمل المسئولية، فأطلقت وزارة التضامن حملة اتنين كفاية التى ستستمر لمدة عامين وبميزانية 100 مليون جنيه. وتستهدف الحملة أكثر من مليون سيدة تحت سن الأربعين فى عشر محافظات تعانى التكاثر السكانى. وعن طريق هذه الحملة سوف تجهِّز العيادات وتوفِّر وسائل تنظيم الأسرة وترفع وعى السيدات. كما حددت وزارة التضامن الدعم النقدى للمحتاجين الذين أنجبوا طفلين فقط من أول يناير 2019. وقد أكد الرئيس السيسى فى عديد من المؤتمرات والمنتديات أنه لابد من تنظيم النسل وأن هذه المشكلة تحتاج إلى حوار مجتمعى وتوعية. كما وجّه كلامه إلى الشعب قائلا: ساعدونا فى النمو السكانى «بطفل أو اثنين بالكثير». يجب أن يصبح الانفجار السكانى هو الشغل الشاغل للدولة، واعتباره القنبلة الموقوتة التى سوف تلتهم جميع الإنجازات. لابد ألا نكتفى بمبادرة مصغرة أو حملة ضيقة بل لابد من بدء حمله ذات أبعاد طويلة الأجل وشراكة جميع أطياف المجتمع ودعم مالى مكثف تشنها وتتبناها الحكومة، وتتضمن جميع الوزارات والجمعيات والمؤسسات غير الحكومية والخيرية والمحليات والإعلام والأزهر والكنيسة، مع الانتباه للتعليم ووضع برامج ترشيدية وحملات إعلامية فعّالة. كما لابد من أن يبارك الرئيس الحملة ويدشنها ويعلن أهميتها، ثم يتابع القضية فى كل فرصة. يجب أيضا مباركة المؤسسات الدينية من الأزهر والكنيسة لتنظيم النسل، وإن كان ليس لتحديده. كجزء أساسى من مهمة الحملة الذى هو نشر موقف الإسلام والمسيحية من تنظيم النسل، فالإسلام والمسيحية ليسا ضد تنظيم النسل. وقد قال الدكتور أحمد الطيب شيخ الأزهر عن تنظيم النسل: حلال حلال حلال، متسائلا: هل يرضى النبى محمد «صلى الله عليه وسلم» بأمة أطفالها فى الشوارع والعشوائيات ويسيطر عليها الفقر؟ كما يؤكد البابا توا ضروس حسب ما نقل موقع مدى مصر أن: الأسرة القبطية تنظِّم النسل جيدا، غالبا يكون لديها طفل أو اثنان أو ثلاثة أطفال على الأكثر. In his recent whirlwind tour of West Africa where he travelled to Guinea, Cote d’Ivoire and Senegal, interspersed with a visit to the US, President Abdel-Fattah Al-Sisi visited the Gamal Abdel-Nasser University in Guinea where he unveiled a statue of the late Egyptian president. This leadership role also stems from the realisation that Africa is key to Egypt and vice versa. The Nile, Egypt’s backbone, joins Egypt to its fellow African nations for one thing. As other countries such as China, Israel, India and Brazil eye Africa’s prospects and venture onto the continent with their full weight behind them, Egypt must intensify its presence in Africa through collaboration, investment and diplomacy. Over recent years, the Egyptian role in Africa has become somewhat blurred. This occurred after late president Anwar Al-Sadat’s peace treaty with Israel, during former president Hosni Mubarak’s tenure, especially after the assassination attempt in Ethiopia, and more importantly after the 25 January Revolution, when the focus was on domestic challenges in Egypt more than anything else. In 2013, after the ousting of ex-president Mohamed Morsi, Egypt was suspended from the African Union (AU). So where is Egypt now and what will it take to revive Egypt’s leadership in Africa? As influential as Egypt is, it neither interferes in other countries’ business nor plays a partisan role in their affairs. Egypt aids in ending conflicts rather than in instigating them. It has no ulterior motive to overthrow a given regime, nor does it side with one faction against another. It can, however, be a catalyst that dampens crises and negotiates between adversaries. It stands firm in its belief in right and wrong, and it guides countries and steers them towards the right path. President Al-Sisi is earnestly taking on such responsibilities as his latest visits prove. In his efforts to strengthen Egypt’s role in Africa and cement ties with other African nations during his tenure as AU chairman, he has travelled to Africa more than any previous Egyptian leader. His trips to Africa account for 35 per cent of all his travels abroad, all of them intended to develop better relations and more solid ties. Egypt is also opening new doors to trade and business with Africa. The Egyptian Arab Contractors Company has acquired seven road projects in Uganda and Cameroon with an estimated value of $400 million. Tanzania has awarded the Stiegler’s Gorge Dam project to Arab Contractors at a value of $3.6 billion. As they are given the green light to proceed, Arab Contractors and other Egyptian businesses will continue to compete on further infrastructure projects mutually benefiting Africa and Egypt. Egypt has been chosen to host the Africa Cup of Nations for 2019, another opportunity for it to shine. The last time Egypt hosted the event was in 2006, while in 2010 no African country voted for Egypt’s bid despite the late actor Omar Sharif’s moving speech in support of Egypt. In 2019, 16 of the 17 delegates voted in favour of Egypt’s hosting the 2019 African Cup of Nations. Egyptian bonds and stocks, the latter up 15% on the Morgan Stanley Capital International core emerging markets index in the first quarter, continued to draw strong foreign investor inflows around the spring International Monetary Fund-World Bank gathering. The stock exchange prepared for another wave of state bank and enterprise partial sales following a burst decades ago, and with the pound finally settling at its market level, overseas portfolio managers snapped up local Treasury bills with double-digit yields. Foreign reserves have tripled to $45 billion from their precarious position before the Fund package, with offshore natural gas discovery joining tourism rebound to boost external accounts. However, inflation is almost 15% and the fiscal deficit is stuck in high single digits in relation to gross domestic product. Improving indicators otherwise may have come at the cost of runaway public debt, over 90% of GDP, to invite a “great job” rethink on the longer-term performance and reform path. GDP growth in 2019 is set at 5.5% as a Middle East-North Africa region leader, aided by “mega-projects” such as Suez Canal widening and the $45 billion Cairo relocation to a new administrative capital. The government’s “Vision 2030” charts a diversification strategy for the coming decades that also slashes poverty to meet the United Nations’ Sustainable Development Goals. Banks have been directed to earmark one-fifth of loans over time to small and midsize business to support that sector. A foreign direct investment push is designed to increase the current $7 billion take, equal to 3% of GDP, after new bankruptcy, profit repatriation, and residency laws were passed. In their Washington rounds, officials noted that US company total commitments of around $25 billion represented 40% of their Africa total, and that Suez Canal modernization will complement the continent’s nascent sweeping free trade zone. The fiscal targets in the $12 billion Fund agreement have been met despite the steep headline deficit, with a 2% primary surplus expected this year on higher tax collection. Food prices, and electricity and fuel tariff hikes with subsidy reduction, are the main inflation drivers. The currency is firm at around 17.5/dollar, and the central bank recently cut interest rates 100 basis points. The inflation goal is 9% by year-end with additional 3% leeway, and foreign investment in local government paper may double to $20 billion should it be within reach, but the more likely scenario is position unwinding that in turn weakens the pound. The current account gap will come in around 2% of GDP despite Zohr gas field production and tourism revenue approaching its pre-Arab Spring peak, with slumping Gulf remittances and expanding import appetite. Egyptian representatives conceded these points during the Bretton Woods meetings week but countered that the domestic consumption could draw on a large 85 million population as reported unemployment fell to a decade low of 9%. Standard Chartered Bank echoed these views in a January review, predicting Egypt’s ascent to a top 10 global economy in 2030, with $8 trillion in output as Africa’s giant. Bank balance sheets revived the past five years with Moody’s Ratings assigning a positive outlook, with a 15% increase projected this year. Bad loans at 4.5% of portfolios are one-quarter the amount a decade ago, and capital adequacy is 15% of assets, according to 2018 figures. The loan/deposit ratio is low and local currency deposits are three-quarters of the total. Only 30% of citizens have formal accounts, and greater financial inclusion is to be achieved through digital and technological outreach under a joint industry-regulatory framework. Retail and Islamic lending are promising lines to match trends in neighboring countries, with the youth demographic inviting consumer credit. However, one-third of bank assets remain concentrated in government securities, and default or restructuring as widely feared before the IMF program may again be contemplated with exit over the coming months. The famous legal case dubbed the Marriott Cell in Egypt goes ‎back to the year 2014 when three Al Jazeera English journalists ‎were sentenced to seven years for belonging to the Muslim ‎Brotherhood and fabricating news to support the agenda of the ‎group designated as terrorists. Mr. Fahmy had stated in the press that he had a fallout with the ‎network after he met scores of Muslim Brotherhood youth in ‎prison who revealed to him that they had a systematic working ‎relationship with Al Jazeera—news that came as shock for him. ‎Until then, he had been outspoken in court against the ‎prosecution. During his time out on bail he sued his former ‎employer in the British Columbia court in Canada and ‎announced the lawsuit in a press conference in Cairo ‎demanding one hundred-million-dollar compensation for Al ‎Jazeera’s role in his imprisonment. Investing in the Middle East has never been for the faint-hearted. Marshall Stocker should know. Drawn by Egypt’s economic promise, he moved to the country from Boston in 2010 with a plan to buy and redevelop historic buildings in downtown Cairo on behalf of Emergent Property Advisors, a company he co-founded. But revolution ended President Hosni Mubarak’s three-decade rule a year later, and the economy sputtered amid the political conflict. Stocker decided to leave in 2012 and later published a memoir, Don’t Stand Under a Tree When It Rains, documenting his experiences as an investor in Egypt during the revolt. “As noted in the ending of the book,” he says, “there is an Egyptian saying: ‘If you drink from the Nile, you will return.’” That proved prophetic. Stocker, 44, back in Boston and now managing money at Eaton Vance Corp., is once again investing in the most populous Arab nation—this time in publicly traded equities. The wager is paying off. Egypt’s stock market is one of the world’s best performers this year through mid-March as the nation pushes ahead with tough measures to revive the economy. The Eaton Vance Emerging and Frontier Countries Equity Fund, which Stocker helps manage, outperformed 93 percent of its peers over the previous three months, according to data compiled by Bloomberg on March 21. Stocker spoke with Bloomberg News’s Netty Ismail about his approach to investing in Egypt and other parts of the region. Netty Ismail: What’s looking attractive in the Middle East? Marshall Stocker: The opportunities that we see exist in countries where there’s some type of development that’s going to improve earnings and cash flows or reduce the discount rate on those cash flows. What causes companies to earn more money or have lower discount rates are increases in economic freedom: Where the rule of law is improving, the size of the government is shrinking in the economy, and where there’s trade liberalization or simplification of regulatory policy. We’re looking to make broad equity investments in countries where we think economic freedom will be increasing. The two countries that really stick out to us are Egypt, which is coming from a particularly low base, and Kuwait. In Egypt, you’ve got the size of government shrinking, as evidenced by the contraction in the fiscal deficit, and the more effective management of monetary supply to address inflation. NI: Tell me more about your experience in Egypt. MS: I lived in Egypt in 2010, 2011, 2012—the good, the bad, and the ugly; before, during, and after the revolution. I was there because under the Mubarak regime, in the later years, there had been a fairly aggressive and sustained effort to increase economic freedom in the country. We went in and set up a direct investment fund to buy and redevelop downtown real estate. In downtown Cairo, they have these wonderful late 19th century buildings, very French, but long-neglected due to bad economic policy. Our intent was to buy them and renovate and repurpose them. About a year after I got there, the revolution happened. The central dilemma during a revolution is: Should I be doing business in a country where the government is in open conflict with its people? The conclusion I came to, and it was a principle that we built our business model on, was we had no principal transactions with the government. We were not transferring wealth to the [Mubarak] government. I was there because of the economic liberalization. It’s the same reason I’m in Egyptian publicly traded securities now. It’s the same reason I’m in Kuwait. It’s because these economic liberalization policies affect investment outcomes. NI: When you left in 2012, did you think that you would invest in Egypt again? MS: Poor economic policy cannot continue forever. When it comes to an end, good policy is not only the alternative, but a necessity. When we identify governments with credible plans to implement sound economic policies, we invest. Now that Egypt is credibly implementing such policy, [investors] have returned. NI: You were first drawn to Egypt during Mubarak’s term, and now the country is being led by President Abdel Fattah El-Sisi. With the current political climate, how are things different this time around for you in Egypt? MS: We focus on economic policy and the potential for liberalizations, which increase a country’s level of economic freedom. Such gains in economic freedom can occur in democracies, autocracies, and anything in between. However, in my published empirical work, countries with a low level of economic freedom, like Egypt, are more likely to have an increase in economic freedom if they are a democracy. I should also add that we consider political governance in our overall risk analysis. In the political turmoil that followed the 2011 revolution, Egypt’s economy struggled to regain lost momentum as investors retreated from the market and revenues from tourism and the Suez Canal fell sharply. But the launch in 2015 of the country’s new economic development plan, which included the promise of economic reforms to improve the country’s financial health and a roadmap for megaprojects aimed at stimulating growth and jobs, launched a turnaround that is now in full swing. And, with IMF backing together with widespread regional support, confidence is returning quickly. President Abdul Fattah al-Sisi’s convincing win in Egypt’s presidential elections in April 2018 provided an affirming rubber stamp for the government’s reform programme. And Cairo now is looking to move forward with much-needed power, infrastructure and industrial projects. The election suggests that Al-Sisi has the backing of Egypt’s business establishment. And, in spite of the pain caused by subsidy cuts, the inflation brought on by the float of the Egyptian pound has largely worked its way through the system and interest rates are falling. Assuming they continue their downward trajectory, Egypt’s banks, which are in good health, will once again be in a position to fulfil their role as facilitators of economic activity. The power sector is a priority for Cairo, which is moving ahead with an ambitious renewable energy programme, alongside plans for the largest coal power plant in the world and the El-Dabaa nuclear power project, which is being 85 per cent funded by Russia. The electricity ministry is succeeding with its feed-in tariff programme, and is now looking to privately finance the bulk of its future capacity, through a pipeline of independent power projects. Construction activity is being driven by Cairo’s urban development programme, which could see 23 new cities built, including New El-Alamein on the north coast. Development is also picking up on the $40bn New Capital City, as investors and developers come on board, and the government is hosting regular auctions to parcel off plots of land. Cairo has a $36bn pipeline of rail projects aimed at supporting growth through greater mobility and logistics capacity. While the development of ports along the Suez Canal into an integrated manufacturing corridor aims to capitalise on the waterway’s potential. Written by MEED, the Middle East market experts within the GlobalData Group, Egypt will face many substantial social, economic and political challenges for many years to come. But the turnaround of the giant Egyptian economy over the past three years is one of the region’s emerging success stories. With a huge programme of capital projects, Egypt offers a strong pipeline of potential project opportunities across all sectors. And for companies seeking to offset the recent downturn in the GCC’s projects sector, Egypt offers much to consider, particularly for developers able to bring finance that can enable public sector investment projects. CAIRO - 10 April 2019: The Ministry of Health and Population revealed on Tuesday sealing exportation deals of Egyptian made insulin with 11 countries and taking all measures to register Egyptian medicine in many African states. A source told Egypt Today that the ministry signed a contract with a South African country to market Egyptian medicine, made of accredited U.S. materials, in the African continent. There is a target of increasing Egyptian medicine exports to Africa by 30 percent. The source also disclosed that five medicine factories will be inaugurated in the second half of 2019 saying those will make a huge difference in fulfilling local and African needs. The factories are specialized in producing solutions and insulin, produced for the first time in Egypt. That is in addition to producing distilled water integral for antibiotics which saves a huge amount of money in the local economy. The source clarified that a medicine can be exported only after reaching local self-sufficiency. Shortage in medicines crucial for chronic diseases, such as hypertension, diabetes, cancer, and heart diseases, has tremendously decreased. The ministry also studies means to increase the availability of 1,000 important medicines in the local market. The move marks a blow to the Trump administration's aim to curb Iranian power, the outlet noted. The decision was also reportedly motivated, in part, by uncertainty about whether President Trumpwould be re-elected to a second term in 2020 and whether his successor would scrap the initiative, according to Reuters. Saudi Arabia first proposed the initiative in 2017 as a means of limiting both China and Russia's influence in the region, according to the report. The alliance was reportedly set to include Jordan, the United Arab Emirates, Saudi Arabia, Bahrain, Oman, Kuwait and Qatar, Reuters reported. As President El-Sisi’s official visit to Washington was about to transpire, western media went berserk, utilizing the opportunity to vent against Egypt and its president. At first, I planned to ignore the rage and let it pass, then, as I usually do, I got too aggravated to forego the opportunity to rebuttal, so I decided to take one journalist in particular on. Usage of words and phrases such as authoritarian regime, dictator, iron grip, terrible ally, and clampdown in various western media articles in reference to Egypt is nothing new, but when Declan Walsh, of the New York Times, stationed in Cairo, goes after Egypt in an even more questionable fashion, I thought I ought to respond. 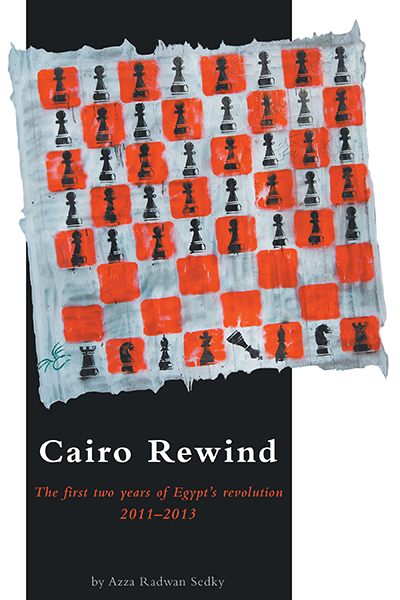 Declan Walsh comes across as a journalist who knows much about Egypt, but half truths or twisted truths are the worst especially if they are geared to affect change in readers’ views and how they see matters. Quoting out of context is also quite vicious if its intention is just the same. Let’s look deeper at Mr. Walsh’s attack on the president and in the process his attack on Egyptians. You see we love watching our “cherished” “weepy melodrama,” he says, and are easily swayed by soap operas that may make us hate the Muslim Brotherhood further than we hate them already, alter our stance on issues or points of view, or accept the reality that the army and police force are taking the brunt of terrorist attacks. And the photo he chooses to depict Egyptians is intentionally insulting. It is that of a very poor Egyptian family watching television. Walsh is not implying that Egyptians are hard hit, desolate folks; by choice, he is saying they are, fait accompli. Walsh says that in his desire to wield sweeping power, President Abdel Fattah el-Sisi " is extending his iron grip to a new corner of Egyptian society: the country’s cherished soap operas.” Am I the only one who finds this a very trivial issue that the esteemed NY Times readers would not find very credible? Who in his or her right mind would? Of course, the topic, “soap operas,” is a façade to an in to find fault with everything Egyptian. Irrelevant and unrelated issues such Uber facing government demands, the rage after the train crash, and Amr Waked’s visit to the Congress are highlighted to consolidate his fact finding search. Let’s stop here for a moment. When President El-Sisi suggests that television emulate the better side of Egyptians, he is not dictating his authority. Quite the contrary, he is confirming what millions of Egyptians believe. I suggest Walsh listen to Egyptians who reminisce about what had been lost in recent TV and movie productions. I also suggest that Walsh watch Mohamed Ramadan’s latest show, which doesn’t play by the dictated rules and has been found degrading and obnoxious by the majority of Egyptians. And I tell you there was no “capping of ticket prices” there—LE 1000 for a ticket to see Mohamed Ramadan is hefty by any standard. Although such a show was not censored by authorities, but found degrading by most Egyptians, it still played negating your farfetched views on "suffocating controls." You approve of the “ferment of raucous debate,” that used to take place on Egyptian television, saying that talk shows “have become so predictably pro-government that many Egyptians are tuning out.” The truth of the matter is that Egyptians have become bored sick of the stream of talk shows that consumed the airwaves for years after January 25; they have indeed tuned out. And since these talk shows are not bringing in viewers as they used to, they aren’t produced as much anymore. Walsh also says, “The army’s Engineering Authority has been charged with overseeing ambitious projects worth billions of dollars.” What you fail to realize is that the army supervises projects, but Egyptian companies, workers (not army soldiers), and engineers handle the projects, but you wouldn’t want to state the facts, would you? This is as far as the amusement goes. Walsh says that President El-Sisi governs “through a small clique of advisers, mostly drawn from the military, the security services and his family.” This I find to be quite offensive and derogatory. I have yet to see any of President El-Sisi’s family members draw attention to himself or herself, appear in any event to speak out, or have a social media account that portrays them as authorities. Walsh, unless you can verify your facts, this is a made up embellishment on your part. By the way, have you ever found something good or positive to write about as far as Egypt is concerned, or is it, according to you, the perfect place to dump your anger and frustration?